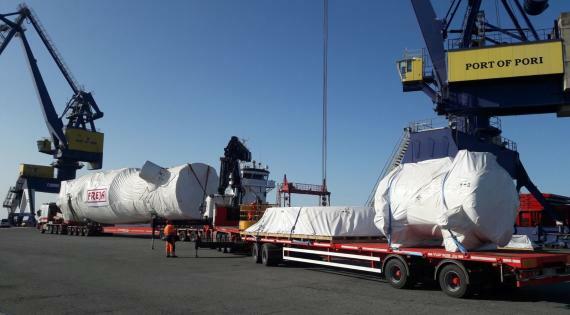 In early September, FREJA Transport & Logistics took on the task of handling cargo for a new plant being built in Pori, Finland. The largest unit was a tower with dimensions of 22 x 6.5 x 6.2m as photographed in the gallery below. 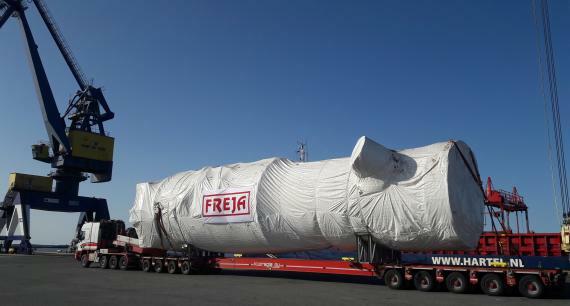 FREJA handled and transported the cargo to the site within one day of the vessel arriving in Finland, showcasing their good project planning and execution.